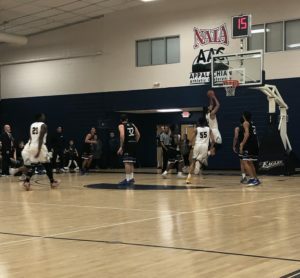 WALESKA, GA. – Samuel Buckley lead the Eagles to victory in a tough battle against the St. Andrews Knights on January 24, 2019. 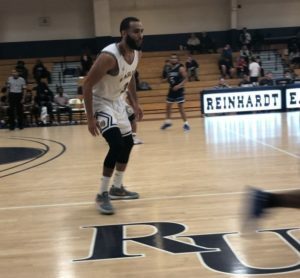 Reinhardt maintained a strong defense, and Buckley had a total of 9 rebounds and 32 points. The Eagles are now 8-7 in the Appalachian Athletic Conference. This may have been one the best defensive games of the year, putting the Eagles back on track. They held the Knights to 68 points, forced 28 turnovers and shot 33 of 77, which is 44 percent. Player of the game Troy Buckley stares down the opponent. The Eagles made a lot of their points in the paint, but one of their biggest game-changing plays happened late in the second half with the game tied at 56. (Sr) Cody Carden shot a long three-pointer, giving the Eagles the lead, which they held until the end. (Jr) Darwin Hubbard scored eight points with seven FGA. While playing only 19 minutes, (So) Michael Mayes scored 7 points and 7 FGA, and (Sr) Cody Carden scored 7 points and 7 FGA playing 22 minutes. (Sr) Latroy Strong added a half dozen of rebounds and (So) Chris Rodgers scored 7 points. Troy Buckley goes up for the easy 2 points. 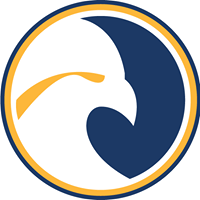 Our Eagles take on Milligan College on January 26, 2019, at 4pm. 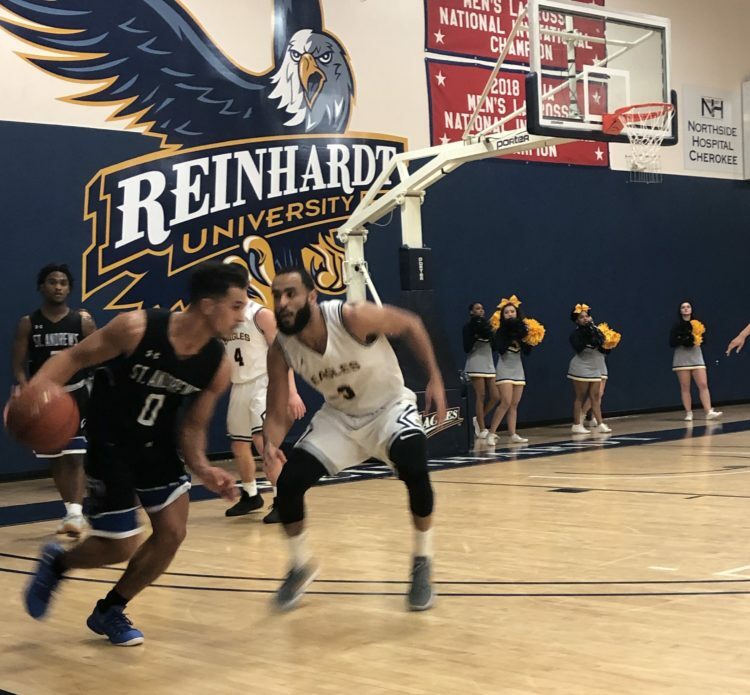 For more information on Reinhardt Men’s Basketball, please click here.